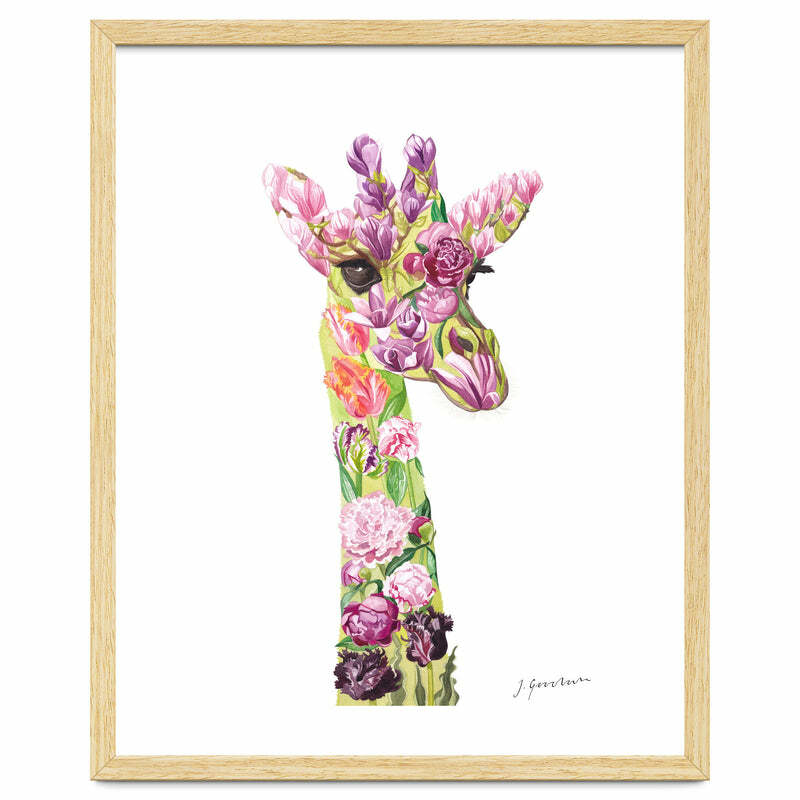 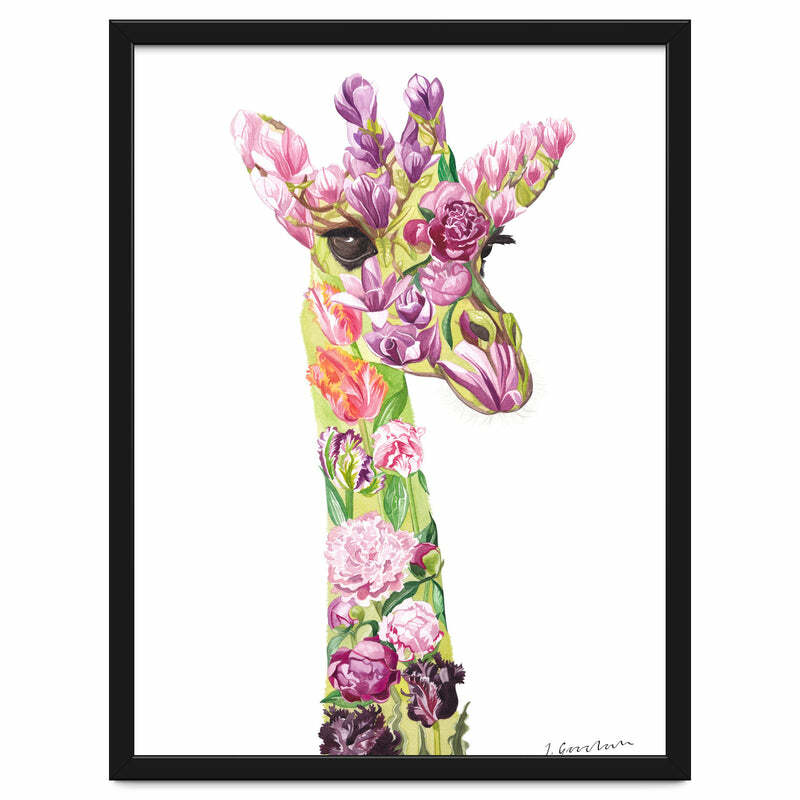 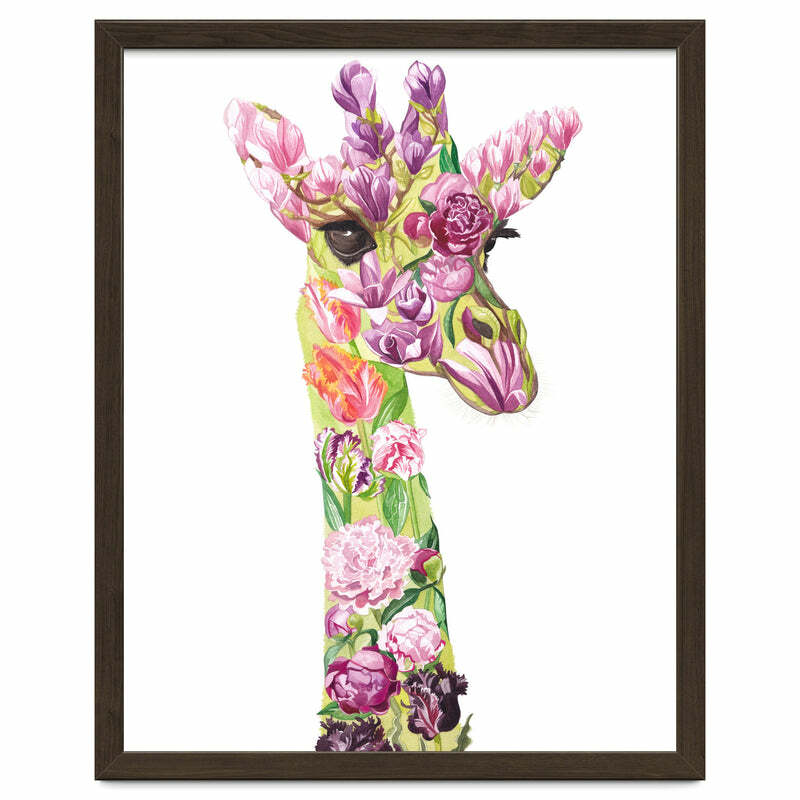 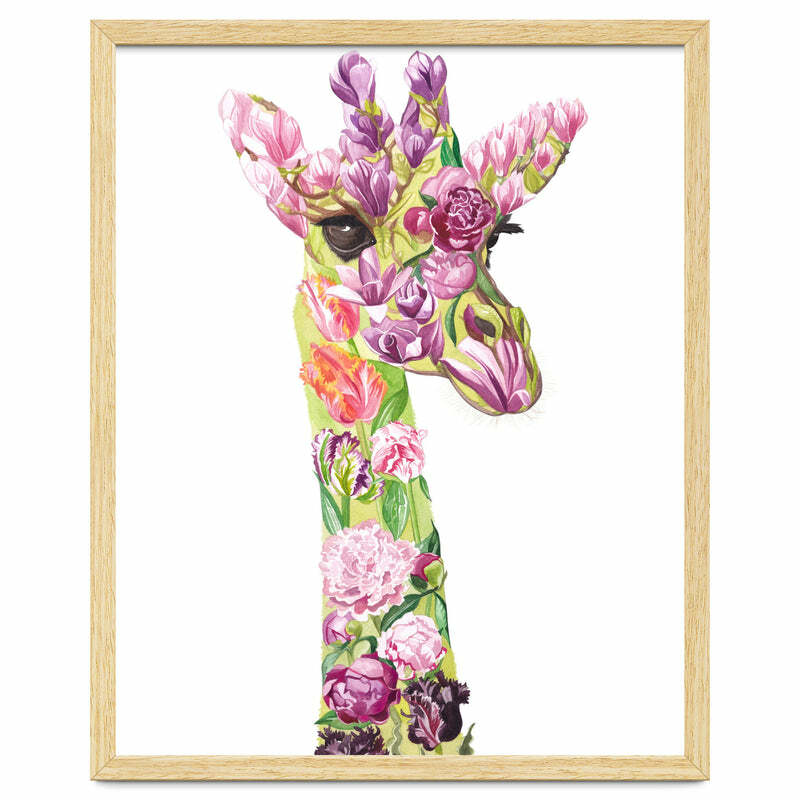 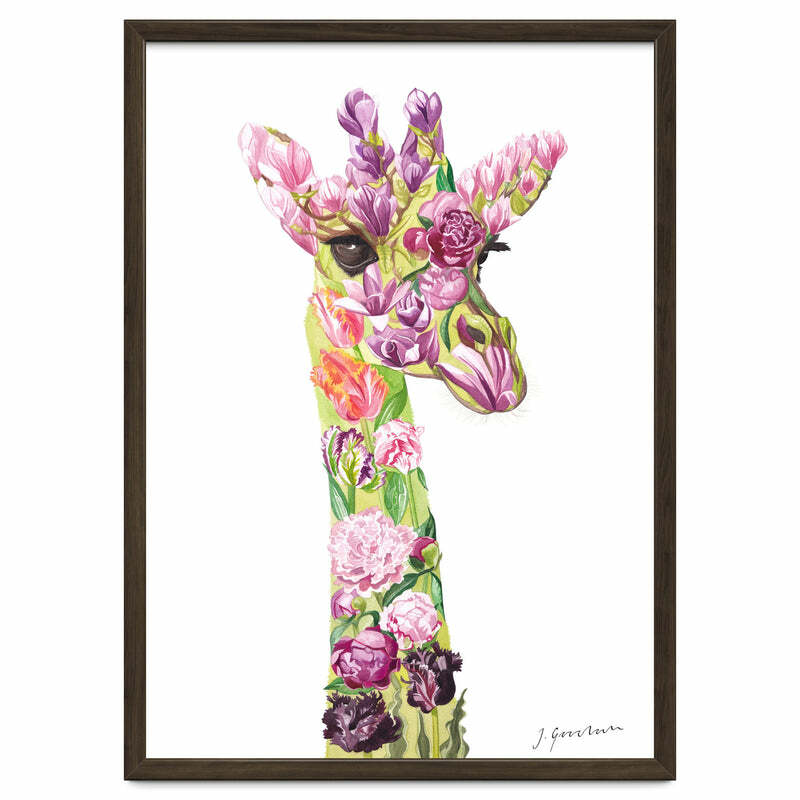 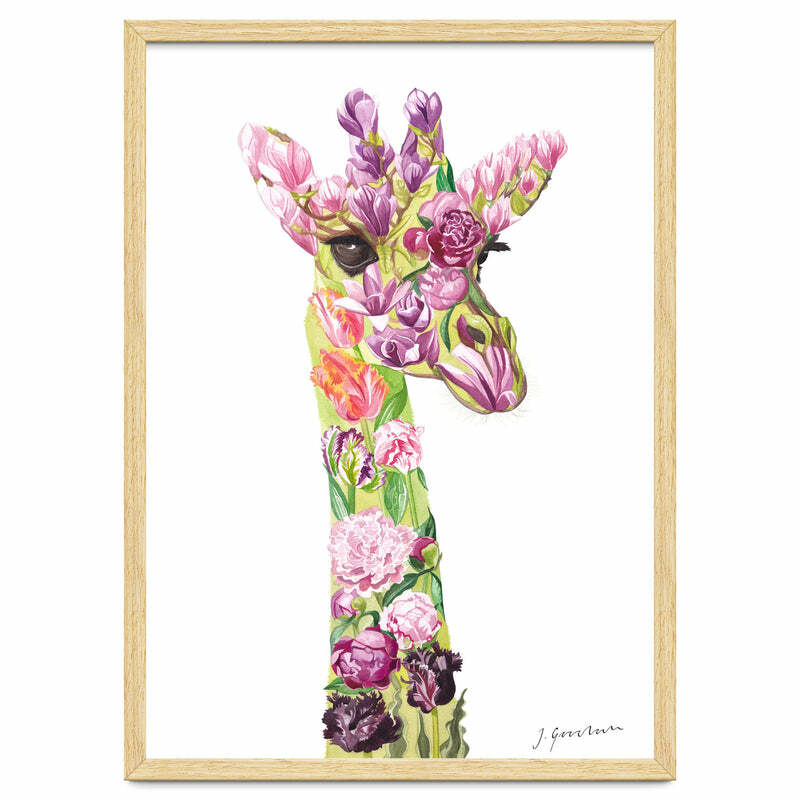 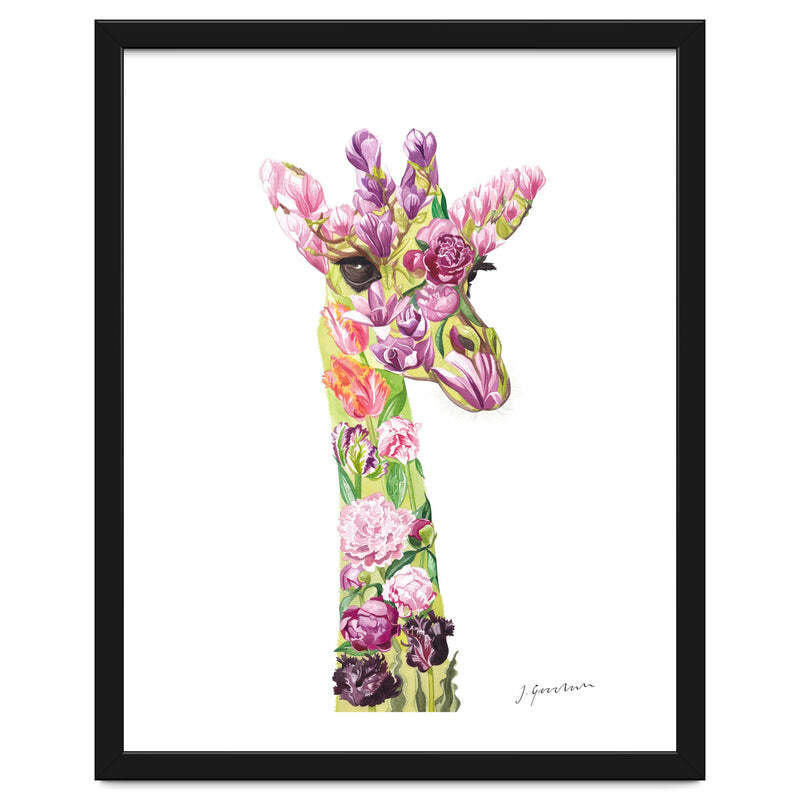 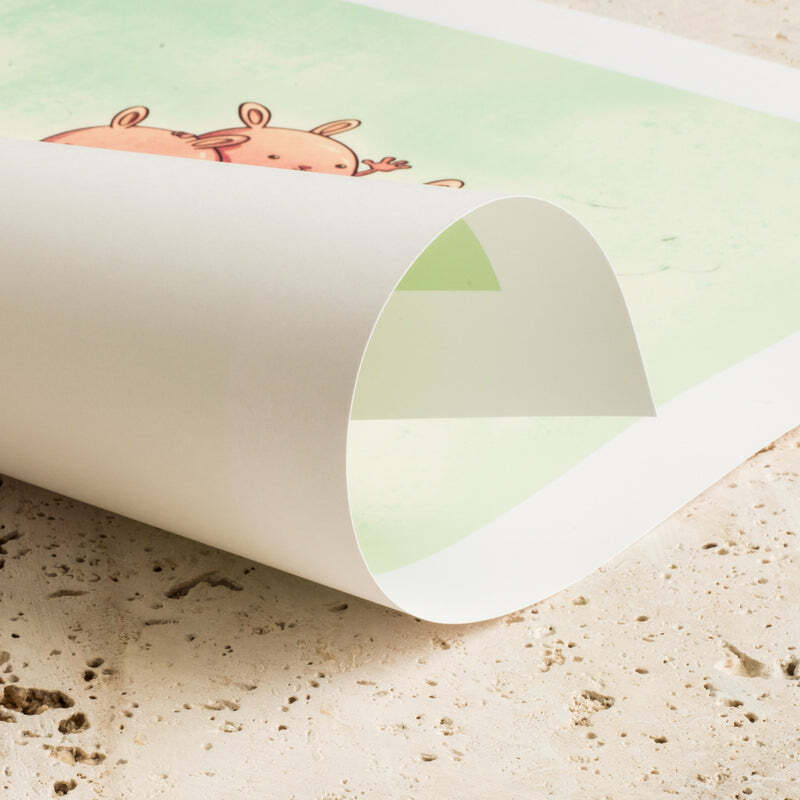 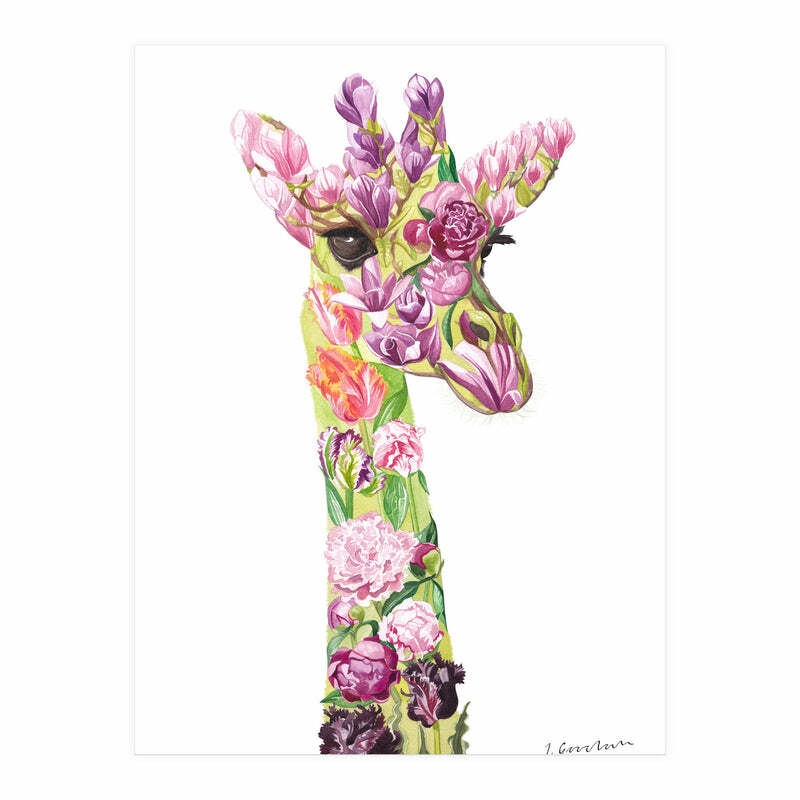 Gertie the beautiful floral giraffe is a watercolour painting bursting with character and charm. 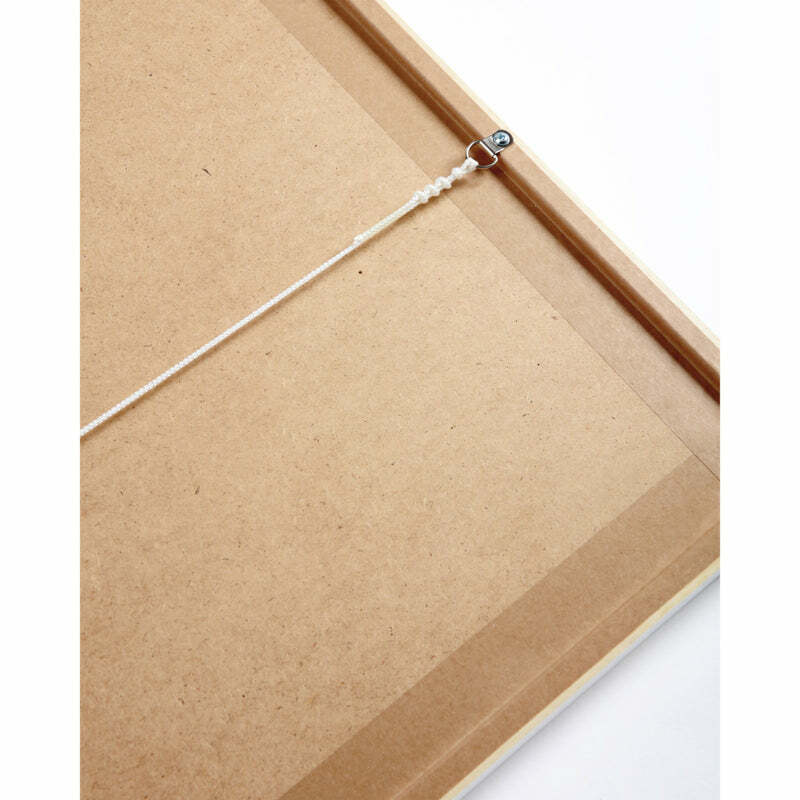 This painting was inspired by the artists love of flora and fauna. It is the second painting in a series of botanical animals. This particular piece was a bespoke commission created from the clients favourite animal and flowers. 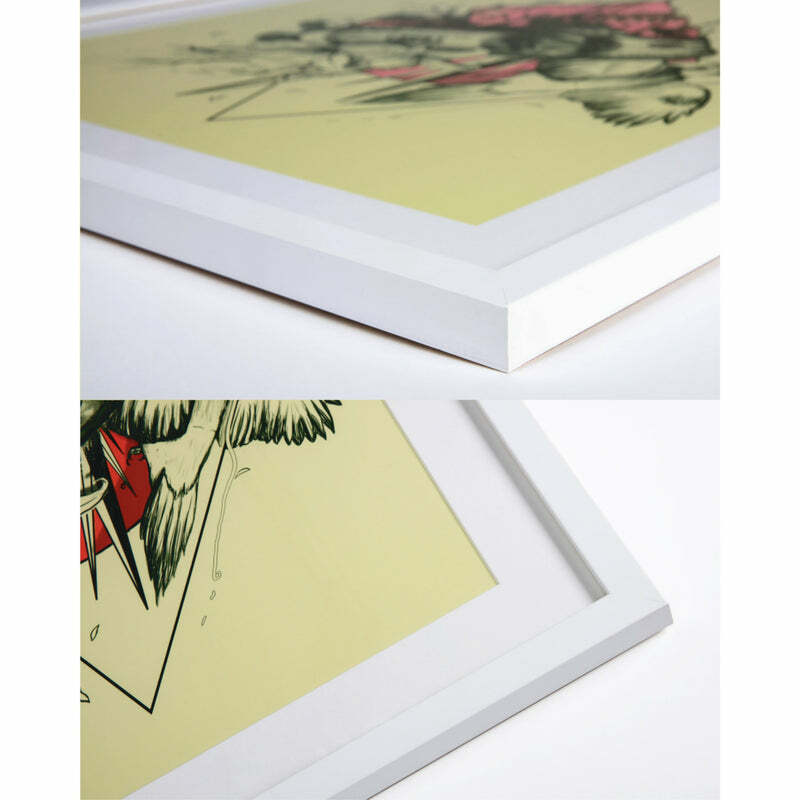 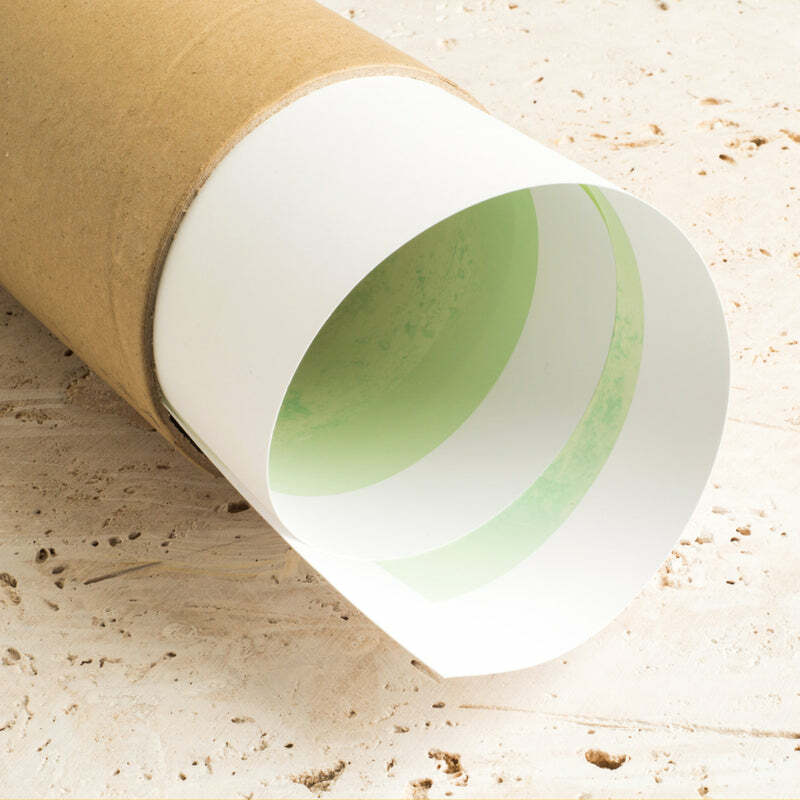 It includes magnolias, peonies and parrot tulips and as a result creates an eye catching and unique contemporary design.